People are acutely aware now of how their actions and choices affect the environment. There is a strong desire to protect the planet and be good custodians, and that includes making eco-friendly choices when it comes to home décor and maintenance. You know how important it is to choose green cleaning options for the home, but you may not realize that you can also choose eco-friendly carpet. The Carpet and Rug Institute, or CRI, has a testing program to determine how many gasses and dangerous VOCs a new carpet will emit when installed in your home. Carpets with lower emissions are safer for the environment, and they’re also better for your family. Look for a small green house symbol with the initials “CRI” inside it to know that you are getting a rug that has fewer chemicals and is safer for the environment. Derived from fossil fuels, rubber is finding its way into all kinds of applications. One of them is carpet padding. If you can find recycled rubber padding, then that is a green choice that you can feel good about. However, most rubber padding is not recycled and should be avoided. Opt for natural felt padding that’s completely renewable and safe for your family. If your carpet will be glued in place, ask for non-solvent adhesives that don’t emit as many fumes and are safer for the family. Some installation companies specifically offer these products, and you should look for a company that is willing to accommodate this request. The gasses that your carpet releases when it’s new can make your family sick. Try to have the carpeting replaced in the spring or fall when you can leave the windows open for a few days to let the chemical vapors safely dissipate. While these natural fibers are not as soft as the synthetics, they are completely biodegradable and have a small carbon footprint. Easy to care for and surprisingly attractive, they can also withstand high traffic areas and can grace your home for years. If you choose these carpets, you won’t have to worry about the chemicals, off-gassing or danger to the environment. Wool carpeting is more expensive, but it’s also renewable and hypoallergenic. It contains lanolin that makes it excellent at repelling stains. Low-maintenance and plush, it will feel marvelous under your feet and add a wonderful sense of style to the home. Of course, being green sometimes involves your actions more than your purchasing decisions. 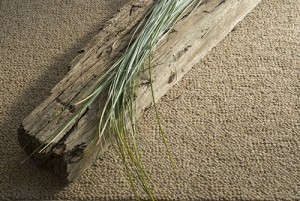 The longer you make any carpet last, the more environmentally friendly you will be. Vacuum carpets regularly to keep them clean and invest in annual steam cleaning services to prolong their useful life. With a little research and knowledge, you can choose an eco-friendly carpet that’s good for the planet and safe for your family. Invest in regular cleaning and maintenance to preserve your carpet and prolong its useful life. Whether you are investing in new carpet or having existing carpet cleaned, trust High Quality Carpet to have green cleaning choices that are safe for your home and the environment. Contact us today to get your eco-friendly carpet cleaned.